Should I do Automatic or Manual? Perhaps a better question is: Do I like finding stamps, folding paper, and licking envelopes? If not, then the Automatic method is perfect. There's no work involved. 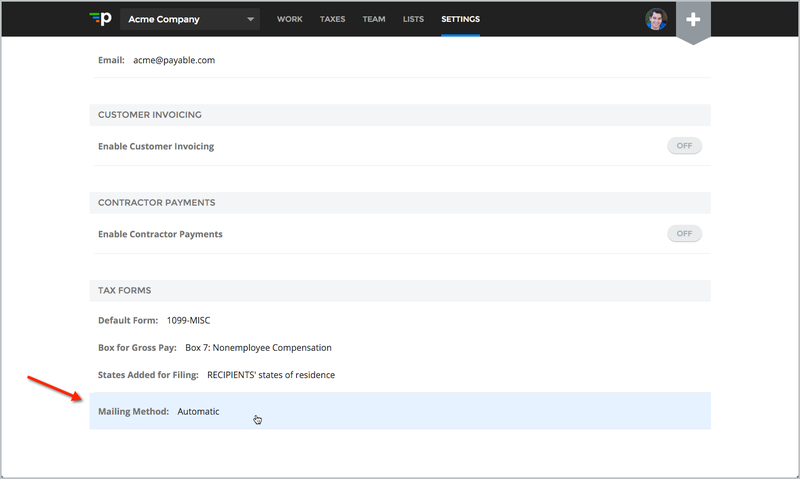 Payable will automatically create and deliver the forms to your workers. The $1.99 per form covers creation, postage, delivery, and tracking. 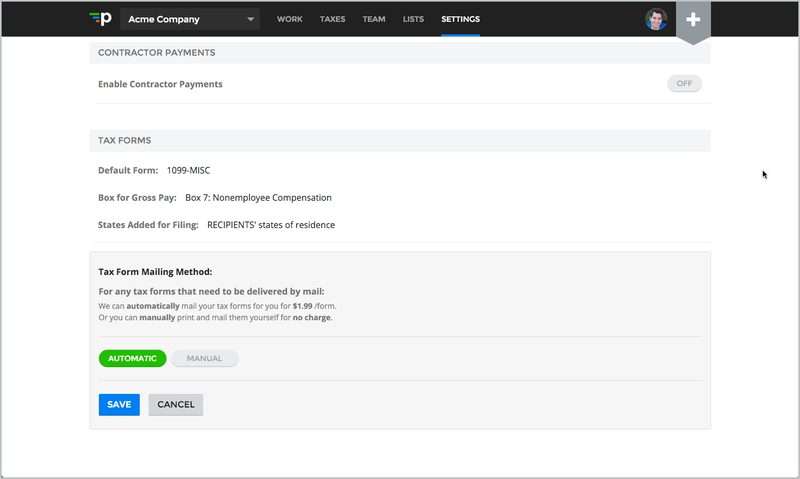 The Manual method allows you to download a PDF version of each form your workers require. You can then print each PDF and deliver to your workers yourself.